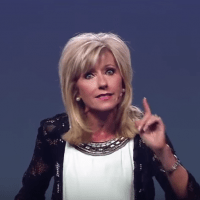 The article begins with a screen capture of Beth Moore’s response to a tweet. She writes: So agree. It’s way past time to inventory our personal libraries, to add to them where they are woefully lacking & to quit being clay theologically shaped by only one shade of hands. That needs to be over. It has failed and robbed us. For starters, Jesus didn’t have white hands.